Does bamboo flooring fade or change colour over time? This entry was posted on August 13, 2018 by chris elliott. Most floor coverings will fade or change colour over time. Especially if they are exposed to direct sunlight for long periods of time. Bamboo flooring is no different. Over time you may start to notice subtle colour changes. 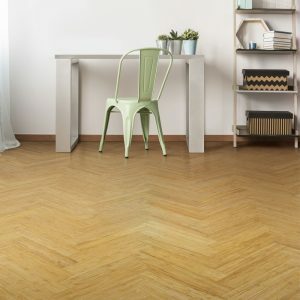 Why does my bamboo flooring fade? First of all, bamboo flooring is a natural product and will inevitably react to changes in its surroundings. Like most things, if left in the sun over long periods of time, bamboo will change colour slightly. Carbonised bamboo flooring is likely to fade, or go lighter in colour. Whereas, natural bamboo flooring is likely to go slightly darker or richer in colour. Furthermore, you may not even notice these changes as they will be subtle and appear gradually over time. The extent to which your bamboo flooring will fade is due to how much sunlight they are exposed to. For example, bamboo flooring in a conservatory is likely to fade much more than if it were in a bedroom or room with little natural light. Can I stop my bamboo flooring from fading? Try to keep your blinds or curtains closed when the sun is at it strongest. This will help to minimise the amount of sun exposure and UV rays that your bamboo floor gets. If you have a rug on top of your bamboo floor, we would advise that you move it around. If the rug is left in the same place, you may start to notice where it has been as your bamboo flooring around the rug will fade. Maybe moving the rug slightly every month or so could help to eliminate these colour variations. Look for specific types of bamboo flooring that have been coated with lacquer that has UV protection included. This will help to reduce the amount your bamboo flooring fades. All of our strand woven bamboo floors include UV protection.